Congress MLA Nitesh Rane believes the Shiv Sena should get the Guinness World Record for the number of times it has threatened 'would withdraw support from the Maharashtra government' (but didn't). New Delhi: In a stinging jibe at the Shiv Sena, Congress lawmaker Nitesh Rane today said that the party deserved a place in the Guinness World Records for repeatedly threatening to withdraw support from the BJP-led government in Maharashtra. Mr Rane has written to Guinness authorities, seeking to register what he says would be the "first of its kind" record. "We would like to register a record on his (Uddhav Thackeray's) behalf for announcing a number of times that his party Shiv Sena would withdraw support to Maharashtra government," Mr Rane, 34, has said in his letter to the Director of Guinness World Records. The lawmaker is the son of former Chief Minister Narayan Rane who was with the Shiv Sena before joining Congress. On Wednesday, the lawmaker posted a copy of the letter on Twitter; the tweet is viral with over 450 retweets and 500 'likes' in less than 24 hours. "Nitesh is a child in politics who is basking under the glory of his father without any substance of his own. He should be made aware that the Sena already holds a Guinness record and we are proud of it," said Sena spokesperson Manisha Kayande. She was referring to the record that the Sena holds for collecting the largest quantity of blood in a day (24,200 bottles) at a blood donation camp in 2010. 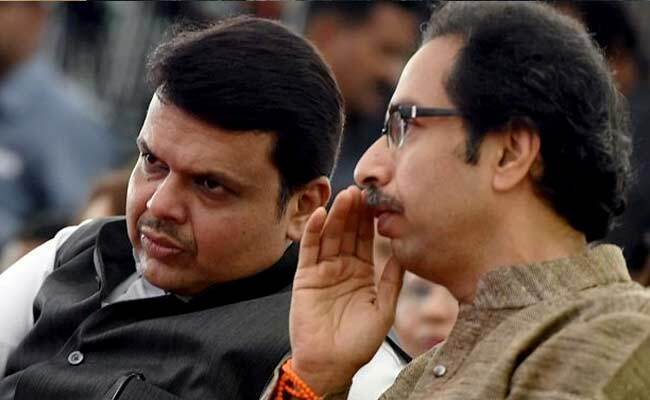 The Shiv Sena has lost no opportunity in attacking the BJP - its long-time ally - ever since the coalition came to power in 2014; the Sena had to contend with being the junior partner for the first time in the state. More recently, it had criticised the Devendra Fadnavis government over the farmers' agitation which was called off on Sunday after the state announced a loan waiver for farmers. On Twitter, many found Mr Rane's move hilarious. "What an idea sir ji," tweets Suraj Lugade. "Epic," comments Rohan Kadam. Many on Twitter pointed out that the young Congress leader had tagged the wrong account in his tweet and directed him to the correct one.